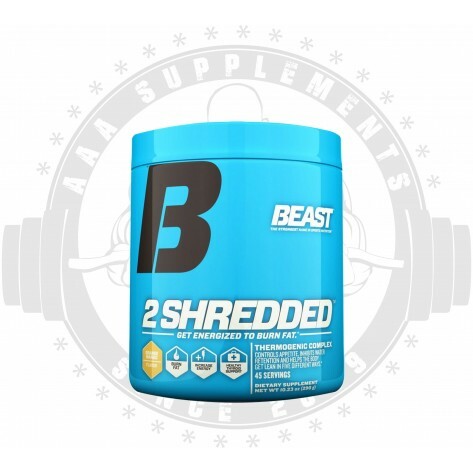 Directions For 2 Shredded Powder: As a dietary supplement, take 1 scoop with 6-8 oz of water with meals twice daily. 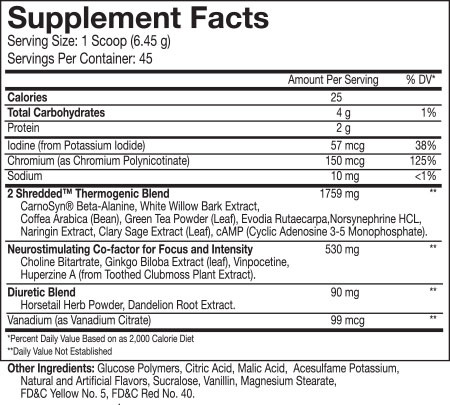 Do not exceed 2 scoops in a 24 hour time period. Warnings: CHECK WITH A QUALIFIED HEALTHCARE professional before using this product, or any dietary supplement, if you are under the age of 18 or if you have any known or suspected medical condition(s) and/or are taking any prescription or OTC medication(s). Discontinue use and consult your health care professional if you experience any adverse reaction to this product. Contains caffeine. Too much caffeine may cause irritability, sleeplessness and occasional rapid heartbeat. To avoid sleeplessness, do not consume within 4 hours of bedtime. Always try to consume at least 64 oz of water daily while using this product. Do not exceed recommended dosage. Do not use if seal is broken or missing. KEEP OUT OF REACH OF CHILDREN.